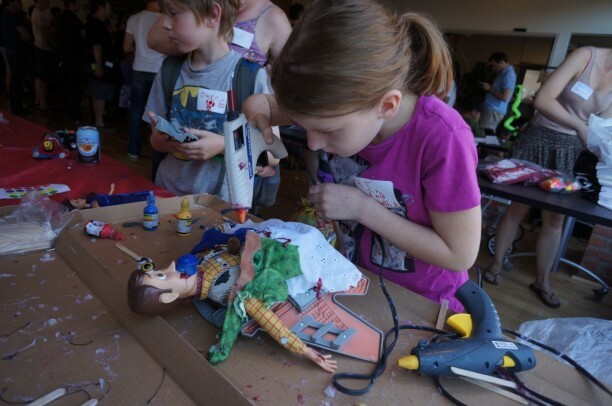 This July, Story Planet is partnering with MakerKids and Young Inventor Challenge to host a summer camp. The camp will run from July 29-August 2 and is for children aged 8-12. Visit the events page for more information on registration. Story Planet Kids Write: Watch Out for the Nature Monster! 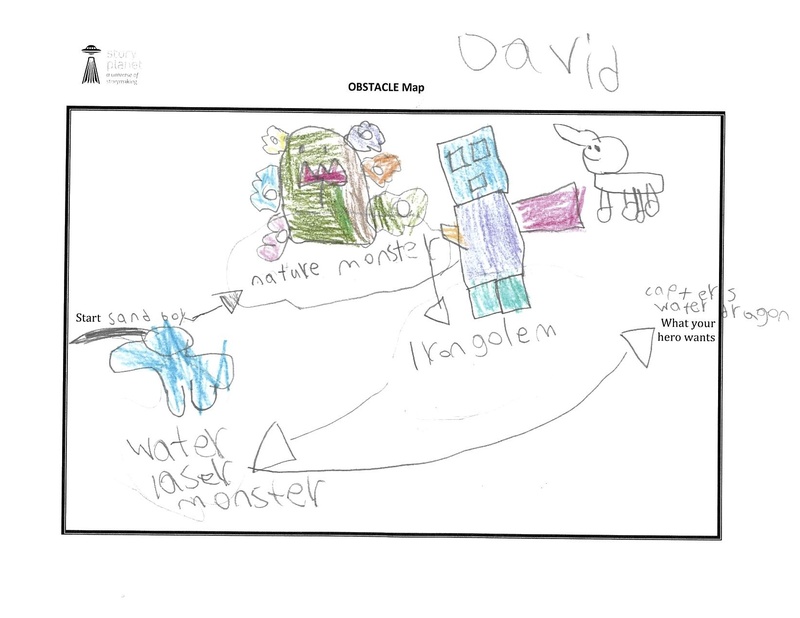 Our after-school students created maps of their heroes’ quests, and David filled his with many traps and foes. After his hero defeated the Nature Monster with multi-coloured roses growing out of his head, it was onto the Iron Golem. Unlike traditional Iron Golems this one has been turned rainbow-coloured because a unicorn barfed on him (the barfing unicorn is still hovering nearby). We suspect that this has made the Iron Golem an even deadlier foe. What makes a hero a hero? Here at Story Planet, we’ve been tackling this perplexing question head-on, and our kids have been coming up with amazing stories as a result. 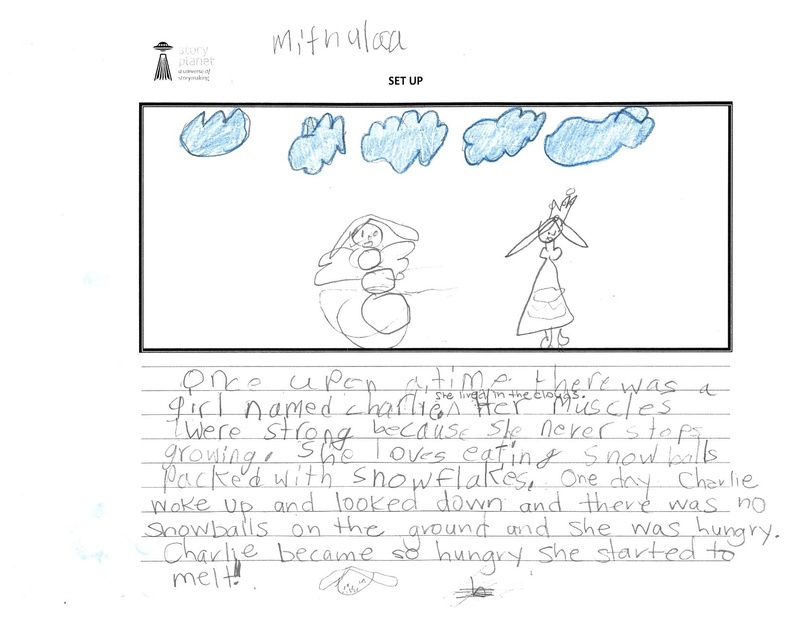 Mithulaa’s hero is a snow woman named Charlie. 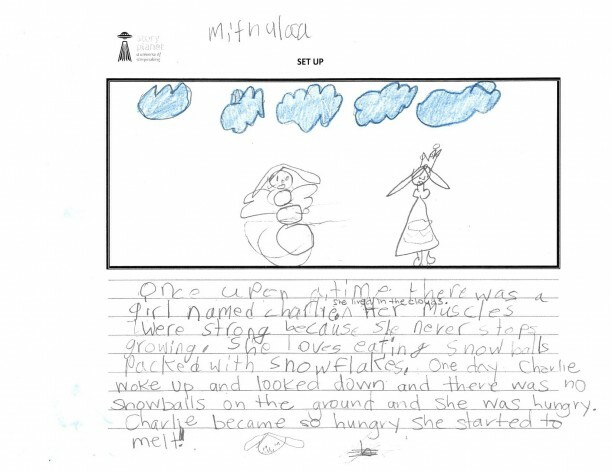 Charlie is very strong because “she never stops growing.” From there, Mithulaa’s story works its way up to a cliff-hanger of Dickensian proportions. 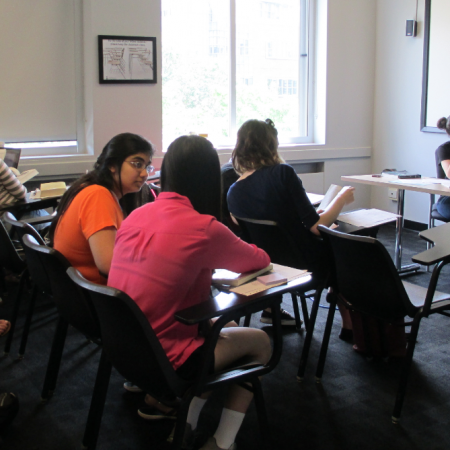 On June 1st, dozens of high school students came from all over the city to join us at U of T for some one-on-one help from some extraordinary volunteers. 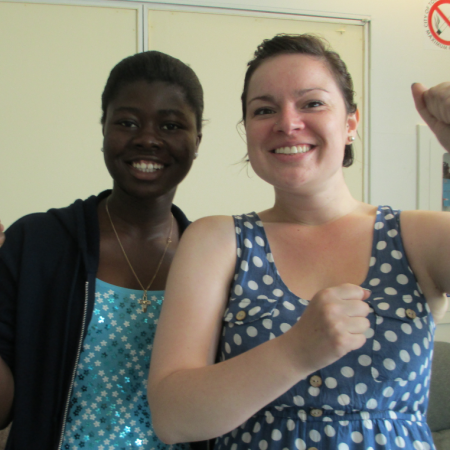 Together, volunteers and students tackled the most challenging of school assignments: The Essay! 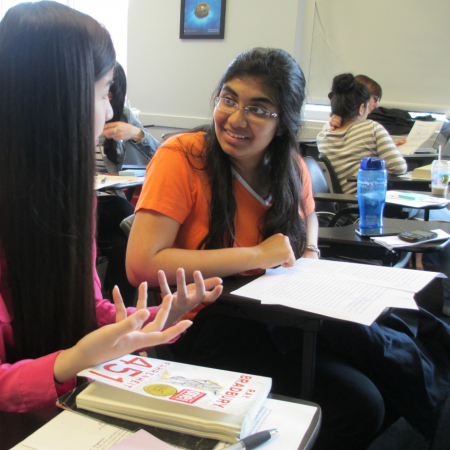 From thesis statements to conclusions, students worked alongside their volunteers, receiving the guidance and support that many needed to get the job done. 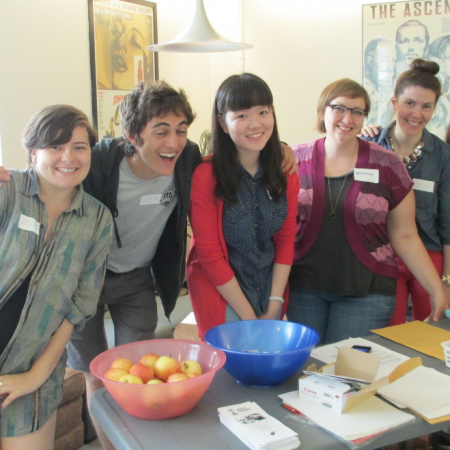 Essayists and volunteers celebrated essay victory with a BBQ and campus-wide movie-themed scavenger hunt in the afternoon. A big thanks to Innis College and the Centre for Community Partnerships at U of T and to everyone who came out!